Skin loses its vitality with age and repeated sun exposure as lines, loss of firmness and areas of increased pigmentation become more pronounced with time. Many of these changes are a direct result of sun damage. Sun exposure causes free radicals to form that damage collagen and elastin, two proteins that keep skin firm and wrinkle-free. Skin aging occurs prematurely in people who don't shield their skin from the sun's damaging rays. It is the mission of Lierac Paris is to repair skin damaged by the environment while protecting it from further assault. Using the power of vitamins, minerals and antioxidants, their products target skin aging at the cellular level. 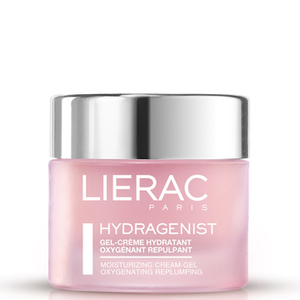 For dry, moisture-starved skin, Lierac Paris offers treatments with ingredients like hyaluronic acid, a compound naturally found in the dermis that helps skin hold onto water. Fine lines and wrinkles are no match for their advanced treatment products formulated with concentrated plant botanicals. Plus, the formulas offer targeted treatments for other skin problems like sun spots, stretch marks, under-eye circles and puffiness as well as solutions for skin that's lost its youthful firmness and youthful vitality. 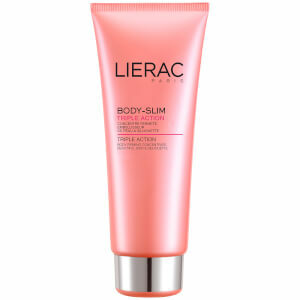 Cosmetically elegant Lierac Paris products never feel heavy or greasy. It's all about light-weight, targeted therapies to address your most pressing skin care concerns. The collection of Lierac Paris products is extensive, addressing most major skin concerns for immediate benefits as well as long term results. Lierac Paris Creme Mesolift Anti-Aging Radiance Cream is a moisturizing treatment and an anti-aging solution in one product. The cream contains a highly effective blend of vitamins and minerals to nourish and strengthen the skin. Hyaluronic acid allows moisture to be held deep within the tissues of the skin in order to prevent dryness and dehydration. Natural acids from citrus improve skin tone and promote rejuvenation of skin cells. Lierac Paris Concentrate Mesolift Toning Radiance Serum also contains vitamins and minerals for improved strength and health along with hyaluronic acid for ultra moisture retention. The serum improves the tone and radiance of the skin while leaving it soft and supple to the touch. Regular use relaxes fine lines to create a smoother finish. This is a very lightweight product that absorbs instantly and does not leave a tacky or heavy feel on the skin. Lierac Paris Derdium Anti-Wrinkle Restoring Serum is a powerful treatment product for skin that is experiencing fine lines and deeper wrinkles. The formula consists of concentrated botanical extracts that provide long lasting improvements to the tone and quality of the skin. This serum can be used with a moisturizer. Lierac Paris Aqua-D Plus Multivitamin Fluid Tinted Moisturizer Gold is a unique multi functional product that provides long lasting moisture to prevent dryness and dehydration for hours. Natural extracts and vitamins nourish and protect the skin to restore health and vitality. The skin gets an instant boost and immediately takes on a more radiant glow. At the same time, the moisturizer has a tint which helps to even out the skin tone and minimize flaws. The natural looking pigments enhance the complexion to bring out its best. Did you know that advanced scientific research has shown that the skin's physiological balance influences the severity of problematic skin issues? It's true, and this is one of the reasons why you should select your beauty products carefully so that they encourage the restoration of your skin's physiological balance. When you incorporate Lierac Paris Products into your beauty routine, you take advantage of unique formulas designed to minimize the appearance of fine lines and wrinkles, restore your skin's elasticity, repair damage, hydrate, and so much more. The full collection of Lierac Paris Products offers an amazing medley of high performing solutions for common skin problems experienced by women each day. If you are in need of a beauty solution for a specific skin issue, consider taking the time to browse through our current selection of Lierac Paris Products. You may be pleasantly surprised to discover one or more delightful formulas. 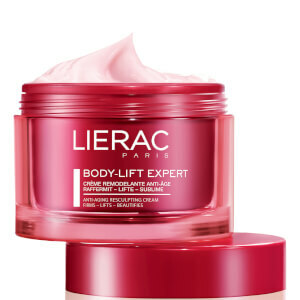 If you want access to a medley of high performing beauty solutions that deliver skin-soothing benefits and rejuvenate the radiant beauty of your skin, take a look through the existing collection of Lierac Paris Products. You can choose eye care products, wrinkle-fighting solutions, vitamin-infused skin formulas, toning lotions, moisturizing emulsions, and so much more. A rich and velvety concoction, Lierac Paris Creme Mesolift Anti-Aging Radiance Cream hydrates the skin, enhancing its tone and texture for a more radiant appearance. It takes away the damage created by dehydration as it introduces a powerful cocktail of vitamins and minerals to your skin. Containing hyaluronic acid, vitamin A, vitamin C, vitamin B5, Vitamin B6, and vitamin E, this creamy solution utilizes mesolift technology to boost your skin's appearance with improved tone, texture, and hydration. Plump up your eye zone instantly for an added boost to skin elasticity when you try the advanced formula of Lierac Paris Dioptilisse Ultra-Firming Eyecare. A paraben-free serum, this product smoothes fine lines and wrinkles for a less noticeable appearance, while plumping the contour area of the eye back to a more natural look. Offering long-lasting makeup hold, this beauty serum does not contain any artificial coloring or phenoxyethanol. An rich botanical concentrate, Lierac Paris Deridium Anti-Wrinkle Restoring Serum delivers an intensive skin-smoothing capability that reduces the look of existing wrinkles, while also rejuvenating the natural tone of your skin. Your facial countenance looks younger and more radiant as its natural supple nature is restored through the powerful effect of this anti-wrinkle serum. This high performing solution is suitable for all types of skin, including normal, oily, dry, and combination.